The Assam government has decided to stop marking members of the Gorkha community as suspected foreigners and referring them to foreigners tribunals, a top state official familiar with the development said. The state government will also move the high court for relief to members of the community whose cases are pending with the tribunals, said the official who did not wish to be named. The move comes after a federal ministry of home affairs circular to the Assam government that members of the community who are citizens of India or who have Nepalese documents cannot be marked as suspected foreigners and referred to foreigners tribunals to prove their citizenship. “The electoral registration officers (ERO), in case they are not satisfied with the documents of a member of the Gorkha community, will not include that name in the electoral rolls. They will be directed to not refer it further as a suspected foreigner,” the government official said on Monday. The official explained that there are two ways in which a name is marked as a suspected foreigner or a Doubtful Voter (D Voter)and referred to one of the 100 foreigners tribunal in the state where the suspect has to prove his citizenship. “One way is if the ERO thinks someone’s documents are suspect, it refers it to the superintendent of police, Border Organisation, who in turn refers it to the FT (foreigners tribunal). Or the Border Organisation itself finds suspects in its survey and refers them,” the official said. In case of the Gorkhas, this official explained, the names were being marked as suspected foreigners or Doubtful Voters (D voters) through the EROs. “As for those whose cases are already pending with the tribunals, the state government will make an assessment and move the high court citing the home ministry circular. We will seek relief that those names be referred back to the EROs who can then decide to include or exclude them from the rolls,” the official said, adding this could ensure they don’t face the harassment of going through tribunals. In July, the All AssamGorkhaStudents Union (AAGSU) had submitted a memorandum to home minister Rajnath Singh. According to Prem Tamang, the president of AAGSU, the memorandum demanded relief for the community as they were being marked as D Voters and facing harassment at the tribunals. 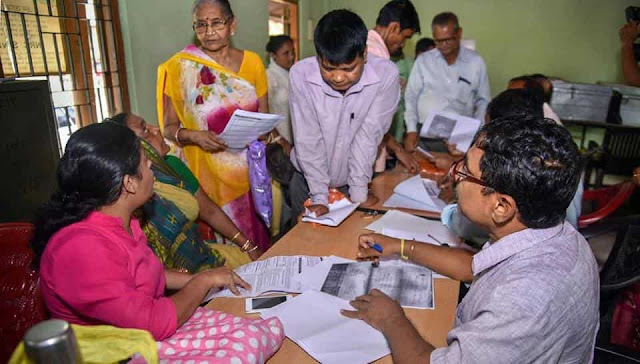 Marking people as suspects by the Border Organisation of the Assam Police or the EROs and referring their cases to foreigners tribunals is a parallel citizenship determination exercise which has been going on beside the ongoing exercise of updating of the National Register of Citizens. According to the NRC rules and orders of the Supreme Court, D Voters and those whose cases are pending with foreigners tribunals cannot be included in the NRC till their cases are resolved. Meanwhile, those whose names will be out of the final NRC list, too, will have to go to the foreigners tribunals for determination of citizenship. “There are more than 20,000 Gorkhas who were wrongfully marked as D voters despite having all documents,” said Tamang, adding that 150,000 Gorkhas are out of the NRC draft because of various reasons, including the fact that many have been wrongly marked as D voters. The Assam government has decided to stop marking members of the Gorkha community as suspected foreigners and referring them to foreigners tribunals, a top state official familiar with the development said.